Topic: Use of hardened beach structures to slow erosion. While the use of hardened beach structures are debated, there is little debate over what they do beaches over time. 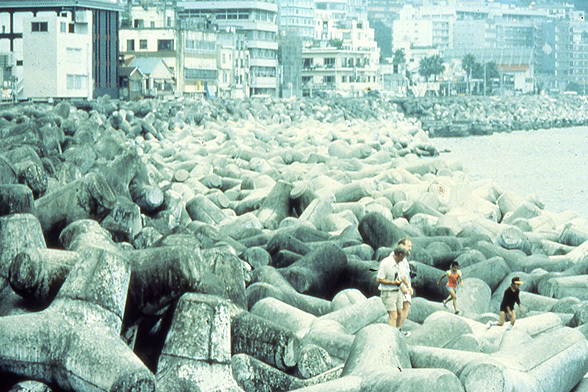 Hardened beach structures disrupt the natural movement of sand up and down a beach and in the case of sea walls and sand bags, eliminate the beach altogether. Question: Should hardened beach structures be allowed on public beaches? Should their use be limited? How?